“Tired, but satisfied,” the SPD negotiating team tweeted after an agreement on the new German government coalition was reached at noon on Wednesday. But the details of the deal might dissatisfy the party’s base. EURACTIV Germany reports. Above all, the chapter on Europe was a “matter of the heart” of SPD leader Martin Schulz. However, the result of the negotiations is still far from a vision for the future à la French President Emmanuel Macron. Too daring is the wording of the draft of the coalition agreement to rate them as a change of course. If and how these plans can be implemented in a “forced marriage” between CDU/CSU and the SPD remains uncertain. The opposition piped up with rather sceptical reactions. 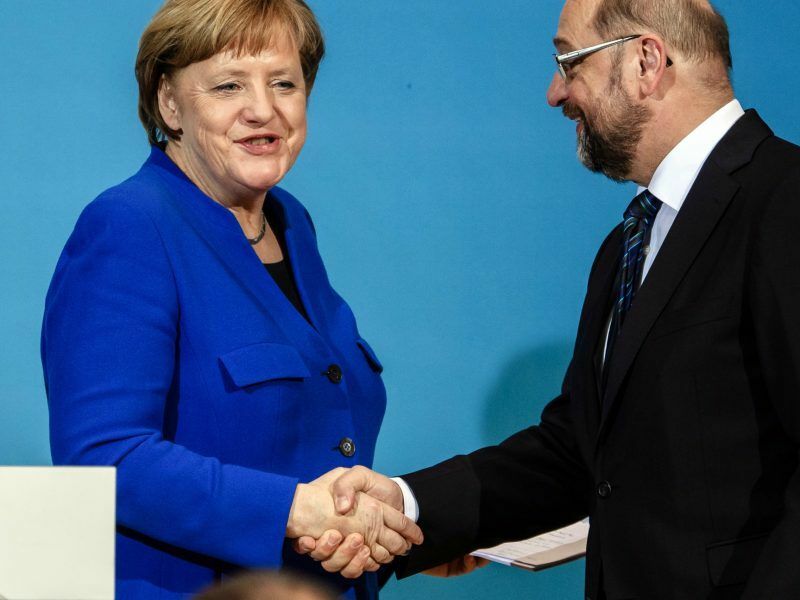 Although Green foreign affairs politician and former MEP Franziska Brantner sees a chance in the decisions on Europe, “but we will believe it only when we see real actions.” In view of the “cacophony” of the coalition partner CDU/CSU scepticism is appropriate, Brantner said. So far, the SPD has rather changed its course when it comes to the issue of its participation in the government and picking of staff. According to media reports, SPD leader Martin Schulz, for example, wants to become foreign minister in the new grand coalition. Shortly after the election, he categorically ruled out joining a cabinet led by Chancellor Angela Merkel. Even the distribution of ministries initially does not allow for a great reform course in the future. Thus, the ministry of development and transport/digitisation remains with the CSU, which will also take over the ministry of interior. The Chancellery, the ministry of economic affairs and the ministry of defence, as well as the ministries of education, health and agriculture go to the CDU. The SPD has secured the ministry of finance, foreign affairs and environment, as well as the ministries of labour, justice and family affairs. 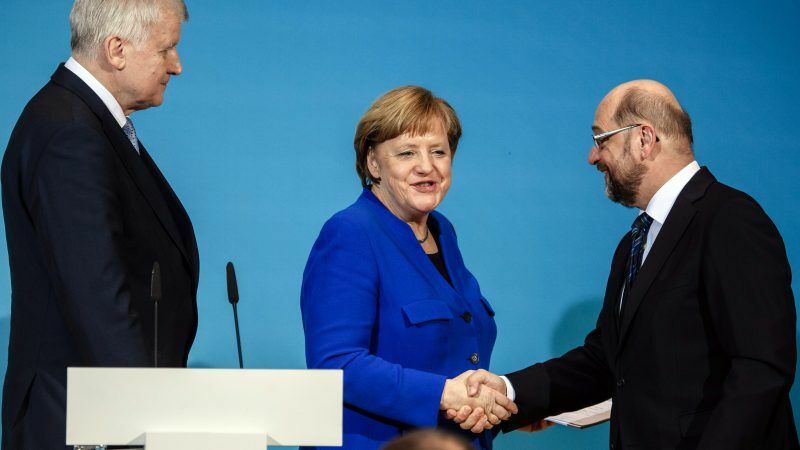 It is very likely to become interesting in the future when it comes to the European orientation of German fiscal policy: an SPD-led ministry on the one side and a budget committee in the German Bundestag under AfD chairmanship on the other. Many associations and interest groups welcomed the end of the coalition negotiations but stressed the need for improvement in many aspects of the agreements. Even Kevin Kühnert, the head of Jusos [youth organisation of the Social Democratic Party] sticks to his opinion that the arrangements of the coalition agreement are not a sign that the new GroKo [Grand Coalition] government is meeting the demands of the future. While German MEP Manfred Weber (EPP) tweeted about a “good signal from Berlin to the people and whole Europe”, MEP for GUE/NGL Martin Schirdewan (DIE LINKE) saw the European dimensions of the new GroKo as rather critical.